We all know that eating healthy is important no matter your fitness or weight loss journey, but certain foods are better for reaching your goals than others. Check out these 15 foods that promote fat-burning, rev up your metabolism and prevent you from mindless snacking. An easily drinkable yogurt, kefir has probiotic properties that help break down the overgrowth of gut bacteria that could be causing you to crave stale Christmas cookies. Salmon, particularly wild salmon, is full of all-important omega-3 fatty acids which keep you satisfied and make it difficult to overeat. It’s also low-glycemic, so it won’t contribute to fat storage in the body resulting from insulin spikes. Looking for healthy and delicious salmon recipes? 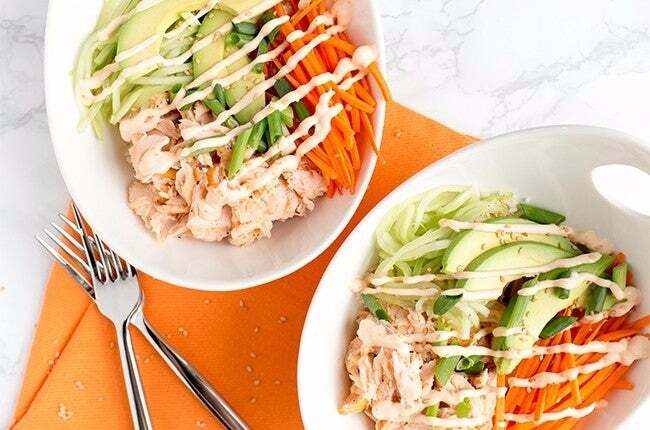 Try our Caribbean Jerk Salmon, Salmon Sushi Bowls for Two or our Honey Mustard Glazed Salmon. Another healthy source of omega-3s, walnuts are also low-glycemic and help to prevent your body from storing fat. Quinoa is a healthy source of plant-based protein packed with loads of fiber, meaning it’ll keep you full and satisfied, preventing you from mindless snacking and sudden post-lunch hunger. Get more quinoa in your diet — try one of our favorite recipes, Quiona Mexi-Lime Salad, perfect for lunch or to take as a dish to a party! Jerusalem artichokes are a great source of inulin, a prebiotic full of fiber that controls blood sugar, keeps you full, and promotes a healthy gut. Sardines are an omega-3 rich fish full of high-quality protein to keep you satisfied. A classic superfood leafy green, kale is full of fiber to help control the release of glucose into the blood stream. It’s also iron-rich, which means it helps the body reduce the presence of stress-inducing hormones like cortisol that can lead to weight gain. Into juicing? 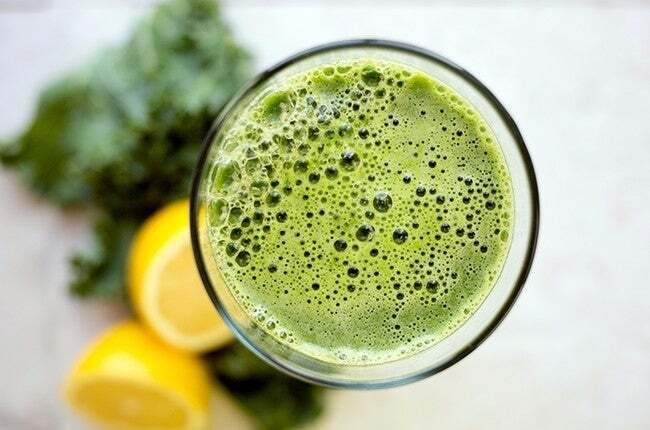 You'll love our 92-calorie Kale-tastic Green Juice that's perfect for getting your veggie-fix on the go. Olive oil contains good fats that can help prevent hunger pangs, thereby reducing overeating. In addition to being a great low-calorie drink, green tea contains a compound which promotes fat-burning, so drink up! Plus, here's 5 More Reasons to Love Green Tea. Brown rice is a great whole-grain option for cooking, but you might be even more tempted to throw it in stir fries and soups when you find out that it contains chromium, a mineral that helps the body to regular its blood sugar levels, resulting in fewer insulin spikes and less fat storage. These tasty seeds aren’t just for hippies! Hemp seeds contain alpha-linolenic acids which help boost your metabolism. While many shun bananas for their high-carbohydrate content, they’re missing out on bananas’ wealth of potassium. Potassium helps to regulate the minerals and fluids in your body, potentially increasing your basal metabolism. Ever had banana pudding in cookie form? 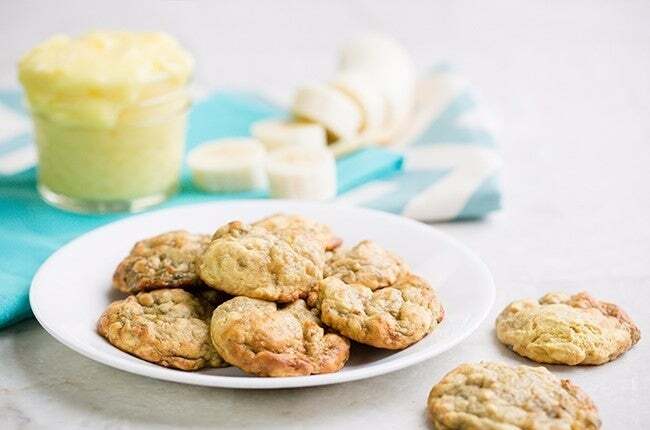 If not, you MUST make our Banana Pudding Cookies! You get the best of both worlds: a soft, chewy cookie that tastes just like banana pudding minus the spoon. A breakfast favorite of health nuts far and wide, steel-cut oats are full of resistant starch that helps you feel full longer. 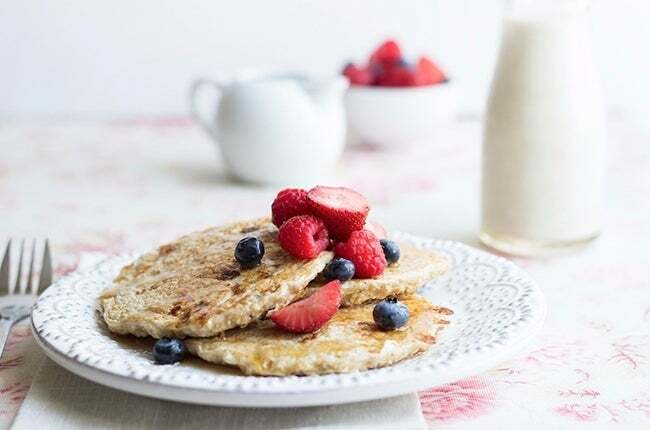 Try our Vanilla Cinnamon Protein Pancakes! They are protein-packed and incorporate metabolism-boosting oats. The next time you find yourself craving some hot sauce, go for it — it just might help you lose weight! Hot peppers contain a compound called capsaicin that generates heat and can help the body burn calories and break down fat. Coconut oil can be used for everything from beauty products to stir fries, but consuming it increases the body’s ability to burn fat. Article written by: Emily Keyes. Follow her here.